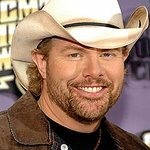 Country star Toby Keith took on a role of a different kind this week – charity handyman! The 47-year-old singer was on hand at Ally's House oncology unit to begin renovations of the cancer ward by knocking out walls. The country singer then proceeded to smash down walls with a sledgehammer. The demolition is part of the unit’s $500,000 renovation to make way for a new playroom, family resource room, and palliative care area. Ally’s House was established to help Oklahoma kids with cancer and their families and was named after the daughter of one of Toby Keith’s band members, who died of kidney cancer at the age of two in 2003. Since then, the singer has held an annual charity golf tournament that has raised over $2.3 million for the charity.